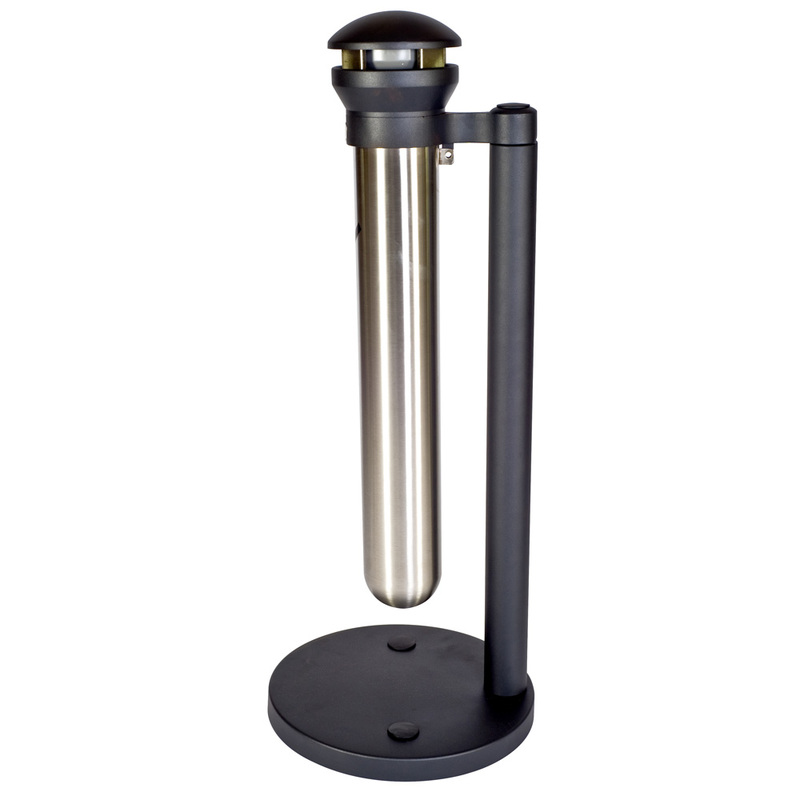 All metal construction provides an attractive look for your outdoor smoking receptacle. Has a stainless steel snuff plate and a recessed extinguishing screen that prevents unwanted smoldering. Using this particular receptacle rather than the traditional gray plastic receptacle can make the outside of your building look cleaner. The stainless steel canister allows for easy access when emptying because of a twist off capability. Can be bolted down to prevent stealing or to ensure sturdy design.